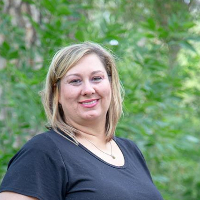 My name is Wendy Benedict, and I'm a Licensed Clinical Social Worker in the state of Colorado. I earned my Master of Social Work degree, specializing in family theories, from Newman University in 2007. I've worked in many different settings with individuals and families who have a variety of personal issues such as depression, anxiety, stress, PTSD/trauma/abuse, addiction, family and relationship issues, and so much more. Over the past 11 years as a clinician, I have learned the most important aspect of therapy is building respect and working together as a team. In my personal life I am an active member on my church and I do believe this has influence not only my personal but my professional life as well.. I believe you are the expert of your life. I am here to help guide you through your current life struggles. I believe this is possible by building your self-awareness, learning to challenge distorted beliefs, offering an outside perspective and offering support to decrease feeling stuck. My counseling style is warm and interactive. I believe in treating everyone with respect, sensitivity, and compassion. I do not believe in using stigmatizing labels. My therapeutic approach combines cognitive-behavioral, DBT, motivational interviewing and solution focused counseling. We will work together to create a treatment plan to meet your specific needs. I believe it is an honor to be able to work with my clients. I understand it is difficult to trust a stranger. I believe in being non-judgmental and I am able to be open-minded when someone is allowing themselves to be vulnerable with me in therapy. It would be my privilege to be that person for you. You are always welcome to message me through Better Help at any time. This flexibility will offer you access to work through your day to day more frequently than traditional outpatient behavioral health care. I generally will check messages at least three times each day Monday through Saturday. I will not check emails on Sundays. I offer messaging, live chat and phone sessions with limited availability in the mornings, afternoons, evenings and on Saturdays. Please note if my schedule does not fit your needs please message me and we can see if we can work out a time that works for the both of us. Would you like to write a review for Wendy Benedict? We'd appreciate if you can spend a couple of minutes to write a short review for Wendy Benedict (LCSW). This review would be shared with Wendy Benedict. It may also be posted in our website or in Wendy Benedict's profile but it would be anonymous and your identity would be kept completely confidential.